Don’t panic! 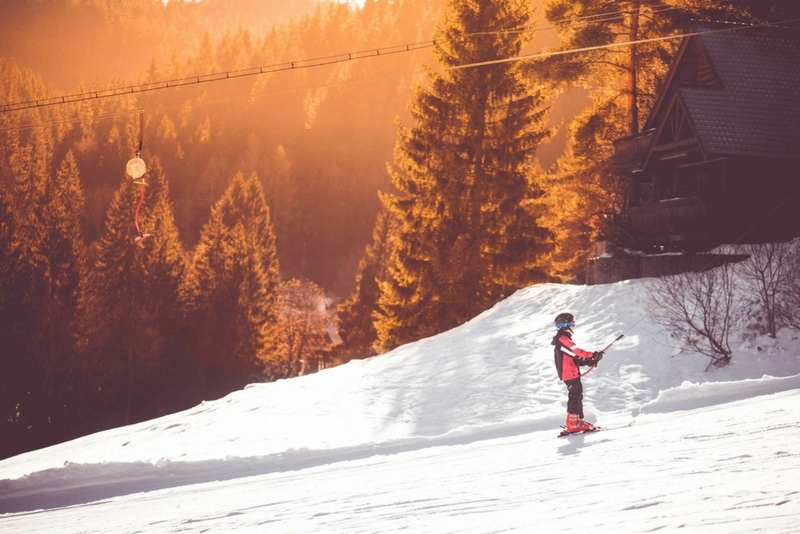 A ski holiday with kids doesn’t have to be the nightmare you’ve heard about. If you prepare fully and understand the difficulties you may encounter, you can have a great time on the slopes with your children. Here’s some essential advice for parents and families. We’ve already offered some essential advice on booking a family ski holiday. This covers some considerations to make at the booking stage which will ease your family’s trip further down the line. From finding family friendly resorts to childcare, it’s important to make the right decisions when booking your family ski holiday. Kitchen essentials – tea, coffee, sugar, etc. Bibs, baby food, dummies, etc. Nappies, cream, wipes, bags, etc. 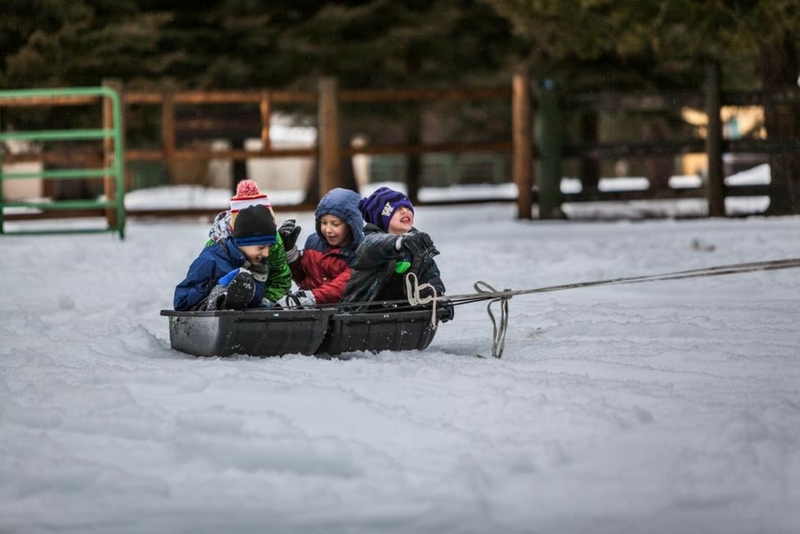 A great way to ease the pressure from your ski holiday with kids is by pairing up with other like-minded families. This means your kids can play together while the adults socialise and relax. If children are entertained, they’re not being a nightmare for you. Do you have friends with families? Why not arrange your ski holiday together? Sharing a chalet together will seriously cut the costs and help with the strain of childcare. It’s not easy for a child to take to the slopes immediately. Doing some prior training at an indoor ski school will maximise your enjoyment while on holiday. Giving them the basics will be a great way to prepare for the holiday. This will dramatically reduce the risk of them getting nervous, scared and angry when on the slopes. No one wants their child to throw a tantrum halfway up a mountain. It’s lovely to see your children enjoying their ski holiday. Having said this, it’s important to have some time away. Whether they’re looked after by the resort childcare, learning at the ski school or simply old enough to enjoy the local attractions together – it’s important to get some time to yourself. This will ease some of the in-built anxiety and tension from travelling with kids. It’s important you enjoy your holiday too! Spending hours cold and wet on the slopes while coming to grips with skiing for the first time is a bit much for anyone. Try mixing things up a bit. Most resorts will have a range of fun and exciting activities for kids. Give them a break from the slopes – keep them on their toes! They are going to fall over. Prepare them for this – tears and tantrums over bruised knees are not what you travelled to the Alps for. Talk to your kids and explain they’ll probably take a tumble a few times. They’re falling in snow – it’s funny. If you can get them laughing when they hit the ground, half the battle is already won. Don’t rush your children. If they’re enjoying the slopes but making slow progress, it’s important to let them take their time. Getting impatient will be detrimental to their progress. Standing at the top of a mountain about to head down for the first time can be a seriously nerve-wracking experience – even for adults! Lead by example and show your children they don’t have to be afraid. Your confidence will be noticed. If your kids say they’re scared, don’t tell them there’s nothing to be afraid of. Ask them what’s scaring them. Then help them overcome their fears. Proving there’s nothing to be afraid of is far more effective than just saying the words. It’s like teaching someone to drive – it’s always better to use a professional. They’ll have the patience, authority and energy levels to get your child confident in their skis. It’ll also give you some well-deserved rest time too! Ski holidays can be really expensive. If you want the most stress-free time you possibly can, it’s worth budgeting for extras like childcare and off-slope activities. Your trip doesn’t have to cost the earth but it’s worth having a little extra just in case. If you’re looking to ski on a budget, some resorts are better than others. It sounds simple but it has a huge impact. Your buggy is going to get caught in snow. Ditch it in favour of a baby carry pack. It’ll save you a lot of hassle. Don’t go out on the slopes unprepared. Carry a small bag with everything from chocolates to plasters and even a first aid kit. This will save you from long detours away from the pistes. Once you arrive at the resort after a long journey, the last thing you want is to wait around in queues at ski hire stores. These are often crowded and frustrating places to be. Booking skis in advance will save you a lot of time – and money too! At Alps 2 Alps, if you book your transfer and ski hire with us (on transfers from Geneva airport), we’ll take you on a short detour to our rental store before you get to the slopes. We’ll fit your skis, offer some expert advice and get you on your way as swiftly as we can. After all, we know you want to be on the slopes as soon as you can! 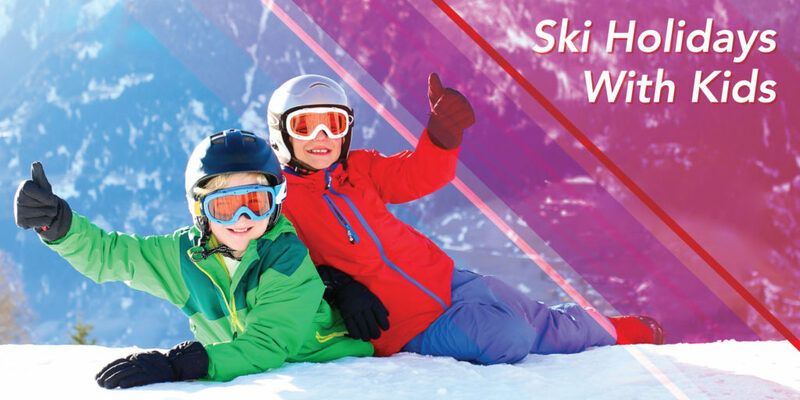 We also offer free ski rental for kids with a full paying adult! When booking a transfer, you need to be able to trust the service you’re using. No one likes waiting around. Here at Alps 2 Alps, we have families ourselves and understand the pressures of travelling with children. We will do everything in our ability to ensure your transfer runs smoothly and comfortably for everyone. Don’t just take our word for it. We have a TripAdvisor Certificate of Excellence, a 5 star customer rating on Google and an abundance of positive reviews. Find out more about our service and book your transfer!